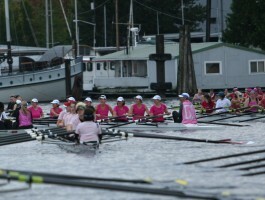 The Pre-Pink Workshop will be held at the Pocock Rowing Center from 10-11am on Saturday, September 17th, 2011. Join us for an inspiring De-Stress workshop on healthy living and reducing risk for disease. Seattle is not only looking for a cure for cancer, but taking active steps towards our health through…. join us to find out how! Workshop will be lead by Olympic Gold and Silver medalist, Anna Cummins and is sponsored by Cummins Chiropractic and Wellness. Coffee and light refreshments will be served. If you would like additional information, please email info@cumminschiropractic.com. Thank you and we look forward to seeing you pre-pink row! Haven’t signed up yet for the Seattle Row for the Cure? Register today at Regatta Central. Anyone wishing more information may contact the office of Dr. Bob Cummins, whose office is located at 4122 Factoria Blvd. SE, Suite 202, Bellevue, WA (telephone 425-590-9158).